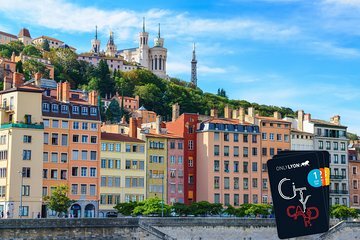 Maximize your time in the vibrant Lyon with a Lyon City Card, your passport for exploring the UNESCO World Heritage-listed wonders of the city. Explore esteemed museums at your own pace and receive free admission to 22 of Lyon’s most popular cultural institutions. Enjoy free guided tours and river cruises; purchase souvenirs in sophisticated shops at a discount; and see free concerts and puppet shows with your indispensable card. Select from either a 1-, 2- 3-day or 4 day pass and receive a free brochure and map-guide to the city when you collect your card. Collect your card from a central Leon location and begin enjoying the advantages of your Lyon City Card. Enjoy unlimited access to 22 of the city’s most prestigious museums, and embark on complimentary tours of the city by foot and boat (April to October). Use the city’s convenient public transport system as much as you like and receive discounts on items in selected shops. Please note: museum entry is restricted to one admission per museum per duration of the card. Please see the Itinerary section for a comprehensive list of attractions covered by the card. 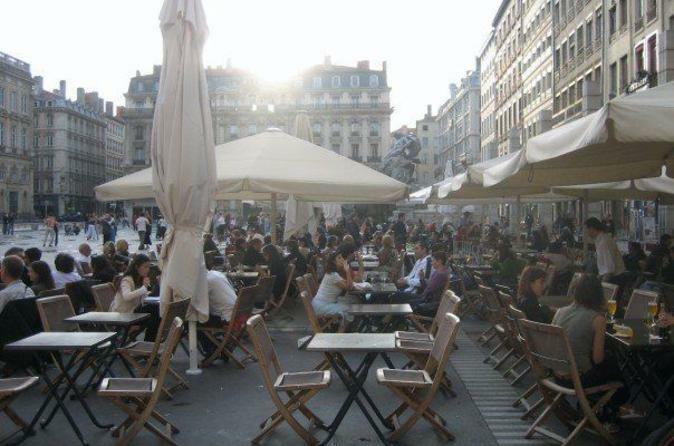 • Lyon the Grand Tour - 17€ instead of 19€ in summer and included in winter. Get information choose between 1 cruise or 1 Lyon City Bus Pass. • 30% reduction on day entries offer valid throughout the 2016 season on presentation (at the park's entrance) of a City Card. • Lyon city tram is -1€ offUNLIMITED USE ON BUS, METRO, TRAMWAY AND FUNICULAR! a must to get around. I am a great believer in getting the City Card for cities we go to for the first time. First, you get the transportation card included. In Lyon, we used mostly the Metro which gets you anywhere fast! Second, you get a City Bus Tour Hop-on-Hop-off type which takes you everywhere in the city and you get a flavor for the various sections and what you might like or dislike about them. We also got the 2 hour guided tour of the Old Town which was probably our favorite tour of the whole 3 weeks we spent in France Nice and Paris were our other destinations. We got free entrance to many fascinating museums and even to a puppet show and museum. It's great how the puppets started in dentistry. This card is perfect for the first time visitor to Lyon. I was very sad that this card did not include the on/off bus. It was very confusing because we bought this specifically because of the on/off bus. Imagine our surprise when they told us at the bus that the card did not have this feature. The Lyon City card is the best deal for your money. City transportation, museums, boat rides, and just plain convenience makes this expense easy to justify. I recommend this card because Lyon does have hills, and sooo many places you will want to visit. This was the first item I purchased before my visit and I would do it again. Cheers! No disfrutamos el paseo a todas las visitas. Cuando llegamos a la catedral el tour fue en francés la guia no quizo traducirla en ningún otro idioma por lo cual no entendimos nada. Creo que fue muy descortés de su parte. Good value and a great way to get to appreciate this wonderful city. Lyon is a great place to spend several days visiting. The city has it all. Great food and wine, museums, transportation system and best of all the friendly people of Lyon. We used the public transit system which is very efficient and visited a number of sights including the Musée des Confluences interesting museum to visit for half a day or more. The museum has a great restaurant located just outside the main building and the Musée des Beaux Arts de Lyon, which also has a wonderful collection and a lovely outdoor restaurant. Great place to stop and re-energize after a few hours of visiting the museum. Very good. Loved the free boat trip and the tour of Old Lyon. Great value and great museums to visit. We particularly loved the guided tour of of the traboules in the Old Lyon. Just two activities a day and the card paid for itself. I got in 3 activities one day, 2 the second, plus used it for public transport! It was very easy to use and accepted at all of the locations I visited without any problems. I highly recommend!